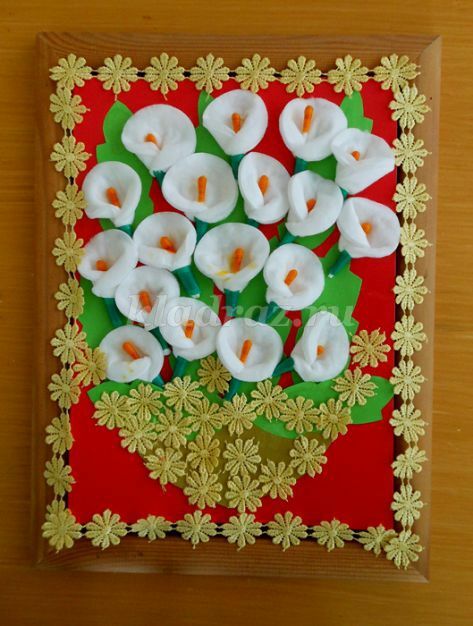 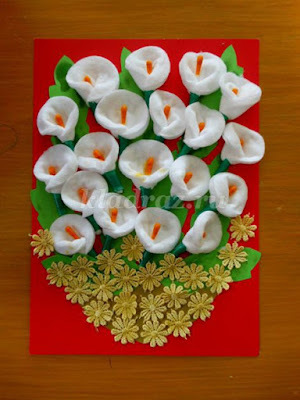 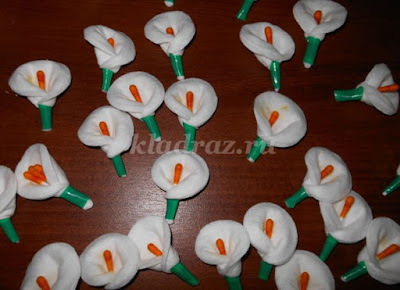 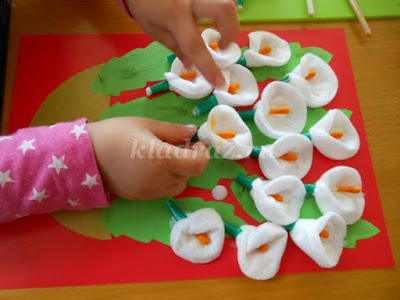 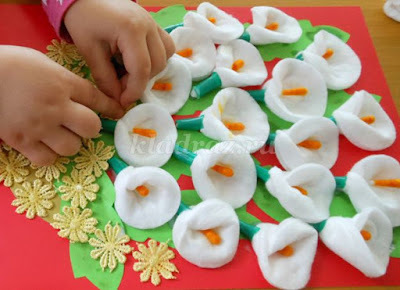 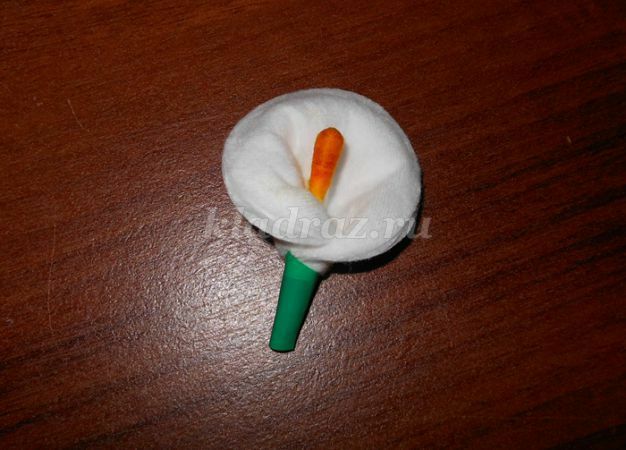 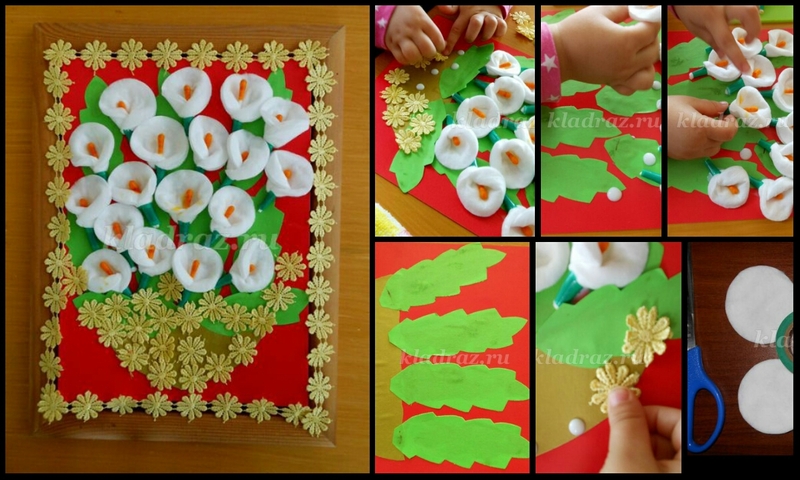 The composition of the "noble spring bouquet" Using cotton discs. 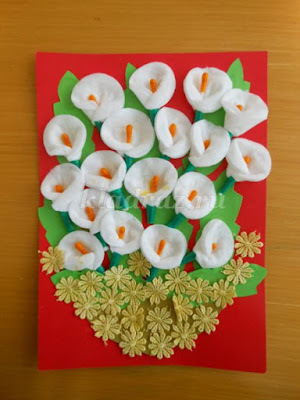 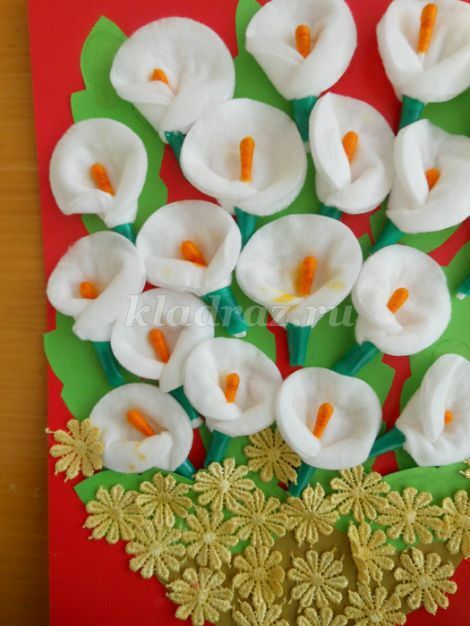 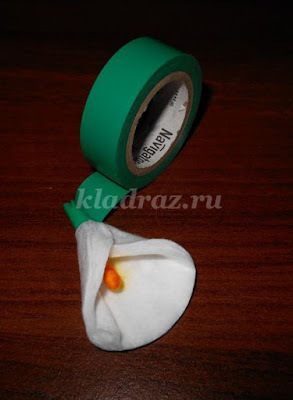 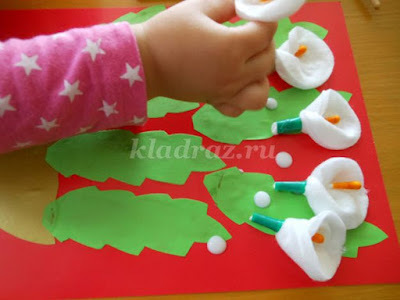 Anya presents you a gorgeous spring bouquet of calla noble colors. 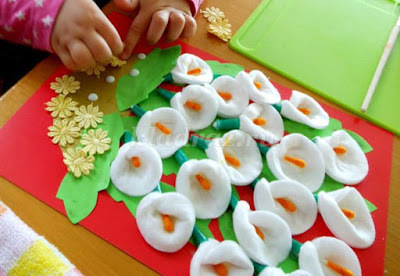 and so do a sufficient number of colors that would make a beautiful bouquet. 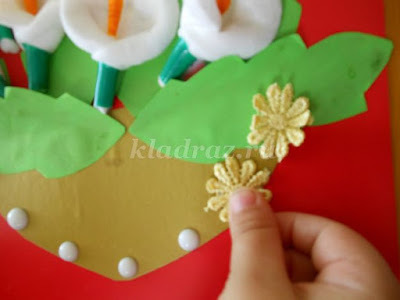 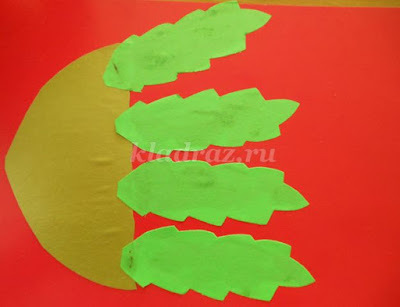 Next, prepares a background, we have this red thick cardboard, ready to cut the leaves and the cup is not necessarily a pattern, there may be many options. 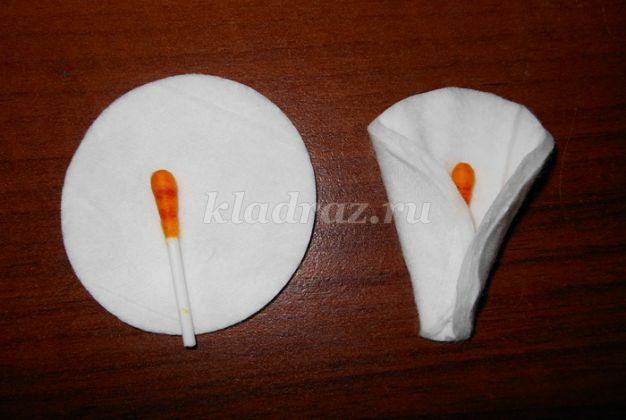 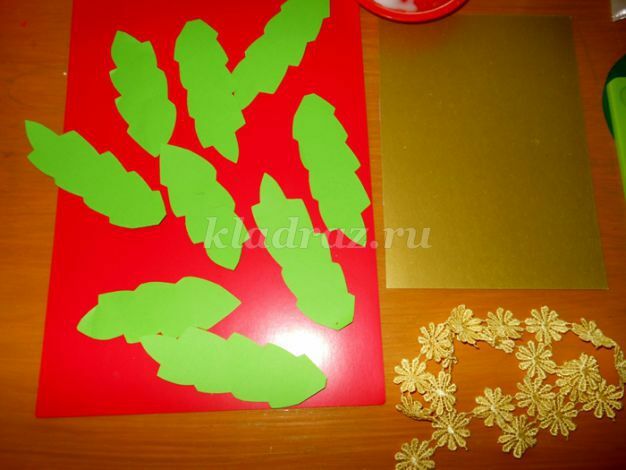 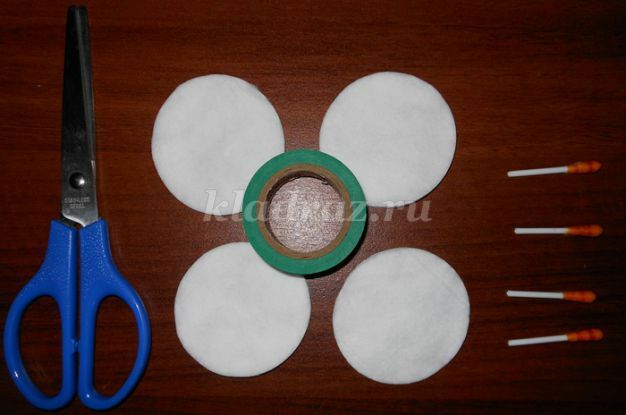 it is necessary to apply the adhesive on the white side of colored cardboard, and then press firmly adhering tissue.